Orenda Records is a small Southern California label that punches above its weight. 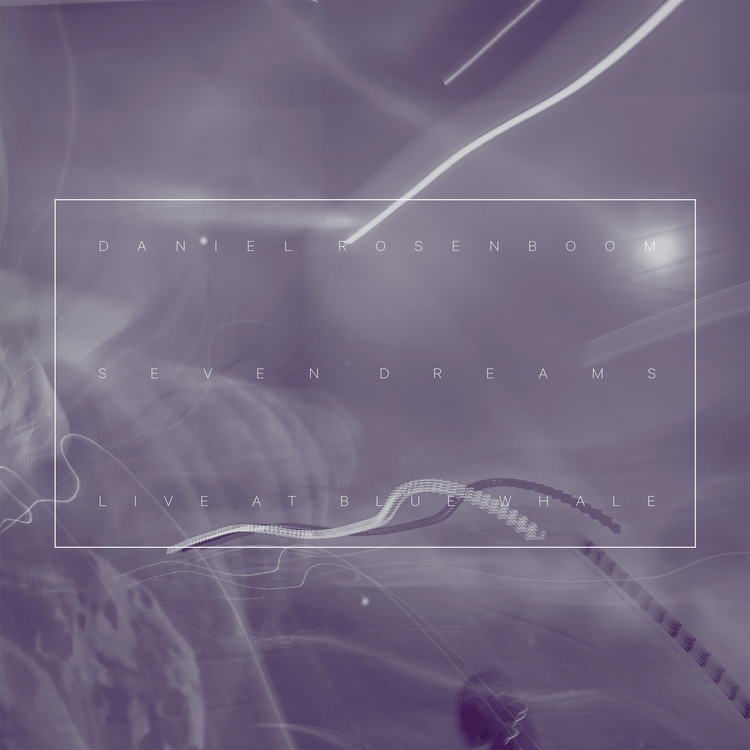 Run by Daniel Rosenboom, its recordings document the creation of a new sound and scene. Call it “Los Angeles Creative Music” if you will. Orenda’s offerings are informed by rock, modern classical, and jazz, and combine these genres in a natural, organic fashion. These are not jazz musicians who dabble in classical or vice-versa. Instead, Orenda’s musicians grew up in a post-Braxton era where musical styles are viewed on a continuum rather than as individual silos of expression. Avant Music News has reviewed a number of Orenda’s recordings. Our coverage is far from comprehensive, but it does showcase some of the more interesting albums from the label. Enjoy. When we interviewed David Dominique in late 2013, he indicated the desire for his next album release to be out by the end of 2014. But Dominique is a busy guy as a composer and academic (currently, he is a music professor at William and Mary). He also moved across the U.S. twice in this time frame, and has had his personal life disrupted by family-oriented adversities. So Mask is a little later than expected. And to use a cliche, it is well worth the wait. 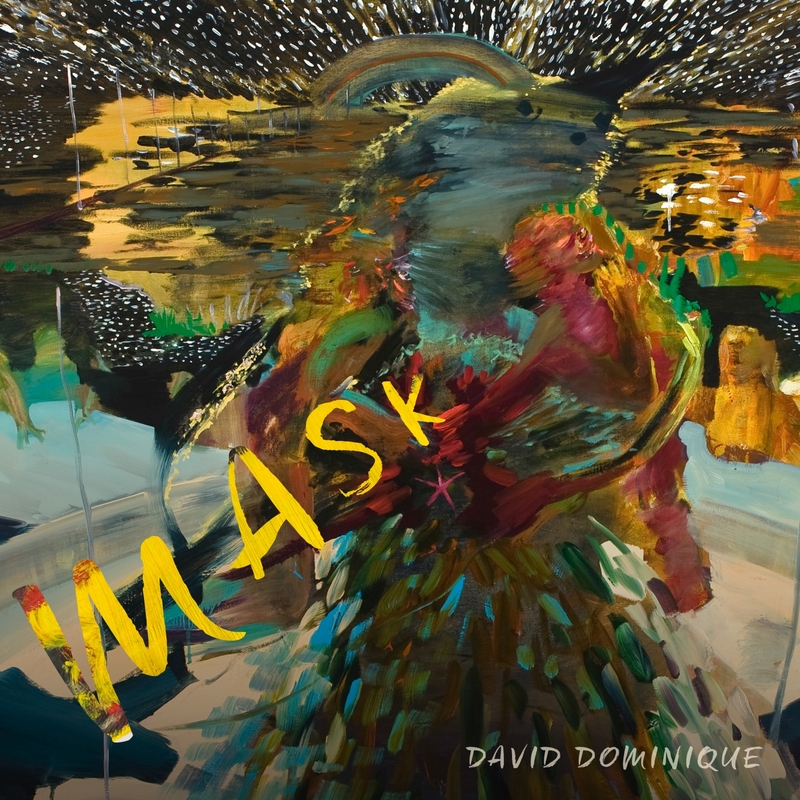 In addition to Dominique’s brass contributions, Mask features Brian Walsh on sax and clarinet, Joe Santa Maria on sax and flute, Sam Robles also on sax, Lauren Baba on viola, Alexander Noice on guitar and electronics, Michael Alvidrez on bass, and Andrew Lessman on drums and percussion. While instrumental, the album includes some vocalizing, skat singing in particular. Dominique’s compositional style is quite varied, spanning jazz, rock, and modern classical. But his major influence, Charles Mingus, can be heard in Mask‘s idiosyncratic swing motifs and start-stop stylings. Similarities to early Frank Zappa have also crept into the album. Although Dominique is aware of Zappa and is a fan of the latter’s 1970/71 period, the influence is not overt. Nonetheless, Dominique’s effortless and complex themes involving a mid-sized brass section harken back to Waka / Jawaka and The Grand Wazoo. To Dave Treut is an example thereof. The sense of playfulness that pops up from time to time is also reminiscent of Zappa. The Yawpee is a joyful romp with intricate lines. Yet, this is juxtaposed with Dominique’s expressions of personal loss. For instance, Grief is a track with a thick walking melody and poignant wordless singing that fits the title. In sum, Mask covers a broad swathe of musical and emotional territory that goes beyond your run of the mill classically-influenced jazz/rock. And clocking in at just under 38 minutes, Dominique says what he has to say, then takes a bow. The result? A singular and compelling release. Bravo. DR. MiNT consists of Rosenboom on trumpet, Gavin Templeton on sax, Alexander Noice on electric guitar and effects, Sam Minaie on bass and electronics, and Caleb Dolister on drums. They call themselves a “bi-coastal experimental rock band.” Rosenboom, Templeton and Noice have played together in a number of settings, including Rosenboom’s quintet, septet, and solo offerings. This trio has been teaming with Minaie and Dolister for a decade, with Voices in the Void being their fifth recording. While the group states that their works are spontaneously composed, it is likely that there is at least an agreed-upon framework established for each piece. Their playing is too coordinated to be otherwise. Thus, this is not free improv per se, though it is heavily informed by that genre. Additional influences include heavy metal, jazz fusion, John Zorn, and even a bit of modern electronica. But the dominating factor throughout is Noice’s aggressive chording and riffing, backed by the horns to create thick walls of noise. Still, several of the pieces provide plenty of room for soloing by the Rosenboom and Templeton. Not infrequently, these solos include the pair of horns, or one of the former teamed up with guitar and playing off of each other. Minaie and Dolister alternate between backing roles and more non-traditional approaches, the latter well-represented on the rhythmic workout of Fanfare Mechanique. The result, is a playful, tense, and spirited exploration of untrodden paths in both rock and jazz. Ambitious and full of urgency, these eight tracks are both an intense intellectual workout, as well as just plain fun. This trio’s most obvious influence seems to be early 70’s Miles Davis. With a signature electronic sound that harkens back to the analog nature of that era, Sound Etiquette powers through eight gritty improvisations. Recorded live in the studio with no overdubs, each of the musicians (Nick Obando on sax, Eli Wallace on keyboards, and Aaron Levin on drums) has plenty of room to stretch out and make their own statements. But the album is best viewed as a group effort, and one with a great deal of affinity. Wallace provides not only leads but thick low-register chording, and echoing effects. Obando solos freely on top, making use of extended techniques, while Levin provides a grounding for the other two in between his own more explosive efforts. Given the album’s rawness, the overall feel can approach Sun Ra territory from time to time, but also a meandering modern jazz. Guitarist Noice steps away from his instrument of choice to electronically compose eight tracks for human voice. The catch here is that each track is based on manipulations of a single note sung by eight different people. These notes are processed, cut, and pitch-shifted, and these results are mixed with one another in various patterns. The repetitions therein form the “songs,” recordings that are likely unrecognizable from the source material. Each paints an highly-abstract portrait of the singer as Noice puts together sequenced runs, undulating tones, and staccato motifs into complex rhythms and themes. Comparisons? Maybe Paul Lansky‘s Idle Chatter series. But Noice is less academic and more assertive. One of the more unique and enjoyable pieces of weird music that I’ve heard this year. Drummer G. Calvin Weston is well-known for his contributions to recordings from Ornette Coleman, James Blood Ulmer, and the Lounge Lizards. Here, he teams up with Jonathan Saxon (who plays just about every percussion instrument that is not a drum), as well as veterans Wayne Peet (piano and Hammond organ) and Steuart Liebig (bass and electronics) for a wild ride through eight compelling tracks. While this album doesn’t quite go in an avant or free direction, it is a unique recording of funky rhythms and driving melodies. Reminiscent at times of Bill Laswell‘s works – for the use of ambiance and space – the focus is certainly on the stylings of Weston and Saxon. For instance, the fifth track, Road Trip to Downey, is a percussion duo which allows both of these gentlemen to stretch out over a series of rhythmic patterns. Both slick and catchy, the piece avoids the stereotypical trappings that would have Weston and Saxon show off. Instead, they perform a percussion composition that is hard to pigeonhole into any particular category. But the contributions of Peet and Liebig should not be downplayed. On the second track, Stutter Step, Liebig lays down an active and complex bass line, while on the next track, Third Floor, he solos like a madman. Peet takes the lead on the title track with a keyboard solo that harkens back to both the 70’s as well as the 80’s New York styles, but without going so far as to sound retro. The overall result is an album that embraces familiar approaches, but doesn’t quite sound like anything else I’ve heard. Not exactly jazz, not exact rock, not exactly anything, Acceleration is a superb offering for anyone who is looking for thoughtful, varied music, that is a whole lot of fun. Consisting of two tracks, this 37-minute release features, in addition to Rosenboom, Vinny Golia on bass clarinet and gongs, Jake Vossler on electric guitar, Tim Lefebvre on electric bass, and Matt Mayhall on drums. While rooted in jazz (and a comparison to the Electric Miles era would not be inappropriate), Rosenboom and all are more focused on a newer and more original combination of Wadada-influenced creative music and improv-inflected metal. Envisioned as a pair of “ritual dances for the Shinto demon-gods of wind and thunder, Fujin and Raijin,” Book of Storms is largely focused on the interplay of guitar and trumpet, with the low-end instruments filling in the gaps at times, taking the lead at others. While the pieces appear to be composed, at least in outline form, they provide plenty of room for the players to stretch out into improvisation with varying degrees of freedom. Everyone contributes to the more open-ended sections. Throughout all of this, Mayhall’s capable and idiosyncratic drumming provides not only rhythms, but active interplay with the lead instruments. The second track, Dance for Rajin, is of particular note. It begins with subtle atmospherics then morphs into doom-metal riffing with Rosenboom and Golia providing harsh blowing on top. Rosenboom leads the group with a solo for a few minutes with Vossler, Lefebvre, and Golia poking non-linearly around the edges, until Golia has an opportunity to say his piece. After a quiet interlude, the group focuses on extended techniques before launching into a guitar-laden rock-oriented break that, in turn, eventually slows into a climax with all players providing walls of sounds. Big-band avant-jazz is having a moment these days, such as the works of Anthony Braxton, Darcy James Argue, Fred Ho (RIP), John Korsrud, Kamasi Washington, and Dan Weiss, among others. Add to that list drummer Nathan Hubbard. Recorded over a three-year period from 2007-2010, the double-CD Furiously Dreaming features 49 performers, notables including Jason Robinson, Kris Tiner, Jeff Kaiser, and Michael Dessen, as well as a chorus. Tracking in at over 130 minutes, there is a lot to absorb here, but not just because of its length. The album also presents some rather knotty compositions across its eight tracks. As a whole, Furiously Dreaming, is full of complex, angular lines. While some of it is tightly composed, other tracks offer extended horn solos and improvisations. 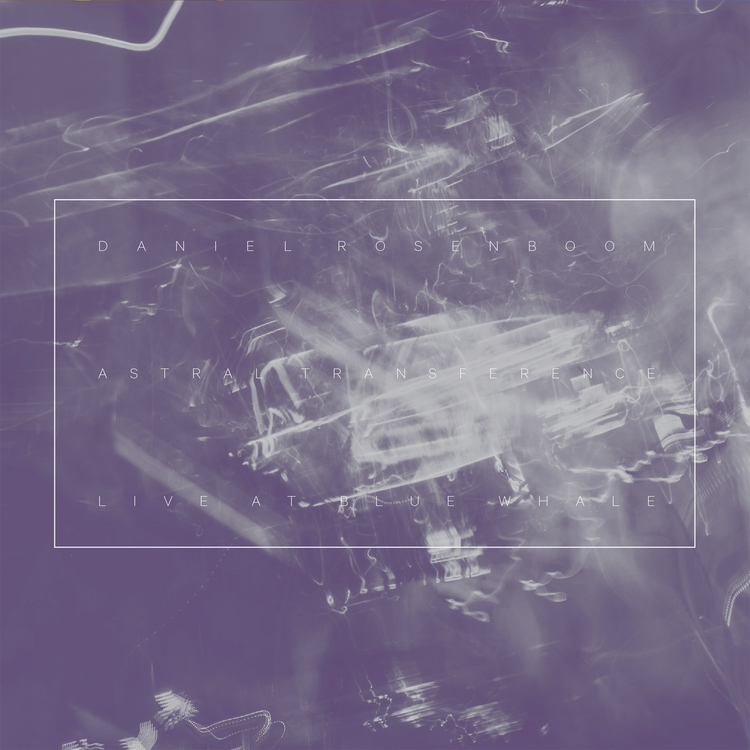 Elements of both free improv and atmospheric drones are present. All of this is the foreground of an orchestral jazz band backdrop. The addition of the chorus on certain tracks adds to the atmosphere, making this recording even more difficult to categorize. In addition to its musical appeal, Furiously Dreaming includes spoken-word voice overs, that are downright creepy at times. For instance, narration on the third track, sleepdreamsilence, seems as if it is right out of a psychological horror movie. High points? There are many. The sheer magnitude of this release makes it difficult to call out any in particular. Perhaps a good starting point is the first track, Crows on the Roof. A jazz orchestra is accompanied by distorted electric guitar and a driving beat through a discordant intro. The guitar duels with a sax for a while, together and then over a multi-percussive break. A jagged horn theme soon emerges, which evolves into a horn soloing over a brooding, multi-layered orchestral atmosphere, with disjointed percussion. Another haunting spoken word interlude follows, before a staccato variation on the horn theme returns. Foreground piano then rolls over dual percussion and walls of horns. The piano is replaced by chants from the chorus, which slows fade over the final three minutes of the track. In sum, Hubbard et al. have released a brilliantly compelling album of dense, uncategorizable music. 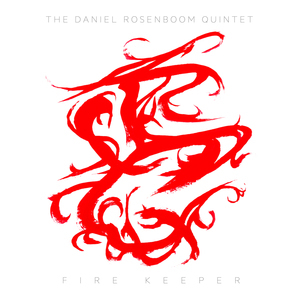 This live double CD is Rosenboom’s follow up to 2014’s Fire Keeper (see below), and was recorded live at Los Angeles’ Blue Whale on May 7 of that year. The first disc consists of the 31-minute Astral Transference, while the second features the longer, multi-part Seven Dreams. Astral Transference and Seven Dreams are two sides of a coin. The former a demanding chunk of avant-jazz, while the latter is more conventional (if one can even use that word to describe the group), yet still featuring free-form blow-outs. 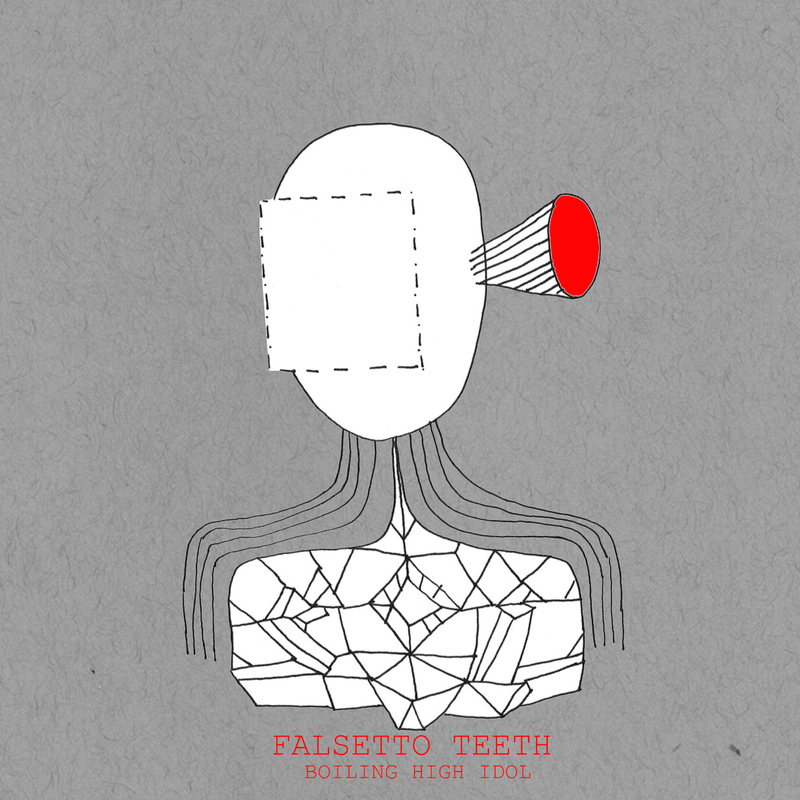 Falsetto Teeth puts the rock power trio format through the grinder on this, their first release. Boiling High Idol exhibits Orenda’s attempt to cover the experimental scene beyond jazz. Consisting of Alexander Noice on guitar, James Barry on bass, and Cory Beers on drums, with all sharing vocal duties, the group diffuses punk rock with a touch of Zappa, classical, jazz, noise and other experimentation. The songs follow a distinct pattern: heavy riffing with melodic vocals, interrupted periodically by something less conventional. Sure, 40 minutes of this across 10 tracks and you have a formula. But it is not a bad formula at all. The genre jump-cuts are fluid and precise, not unpredictable, but never dull. This is too weird to be pop, too proficient for punk, and too catchy to be outside music. Comparisons? Perhaps a vague resemblance to other avant-pop groups such as Deerhoof or Battles. Throw in some early Ramones or Buzzcocks, and blend with a clever dash of creativity. A rather unconventional and refreshing effort. Here, as usual, Rosenboom combines rock, jazz, and classical in a rather unique and engaging fashion. Rosenboom wields the trumpet, and is joined by Gavin Templeton on sax and winds, Alexander Noice on guitar, Kai Kurosawa on the BearTrax (a custom 12-string bass/guitar), and Dan Schnelle on drums. The first track, Leaving Moscow begins with a low-key horn and picked guitar interlude, before getting into an aggressive main riff. The quintet’s bread and butter seems to be when guitar and horn join together in a complex theme that serves as a jumping off point for various solos. In that sense, this offering comes across as a more jazzy and less heavy version of Sacramento’s Avant Garden, or a speculation on what kind of music David Torn would be writing in 2014 if he was under the spell of Frank Zappa. But then again, the guitar and drums on Hush Money is straight from 90’s hard rock, at least until the trumpet and sax come in and the band starts changing up the time. And Holiday Motel is a more introspective piece that takes it down a bit. But these guys aren’t afraid hit it hard, paying homage to rock and jazz often in the same track. The result is a complex, yet ultimately catchy, set of tunes. But be careful – you might break a few bones trying to move your body to Fire Keeper.